After he graduated from high school, Calvin McCloud began to fall apart. Nineteen years old and a hard worker, he took twelve classes each semester and played on the basketball team. “It was after I graduated,” he says, “that the problems, the racing thoughts, started. I didn’t want to pay attention to nobody. I wanted to go my own way.” He had trouble finding work. “I would try to find a job and I would mess up the application to try to make it correct by scratching stuff out, and I realized that nobody wanted to hire somebody who couldn’t fill out an application. It wasn’t my fault, because I did everything in my power to correct the problem.” McCloud, who turns sixty this year, suffers from depression and paranoid schizophrenia. From 1987 to April 2012, McCloud was a patient at the city-operated Woodlawn Mental Health Clinic. 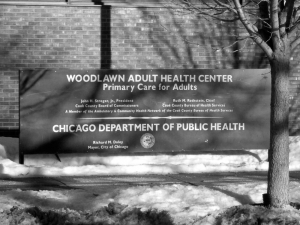 In 2012, the city closed Woodlawn and five other public mental health clinics in an effort to consolidate services and save money. More closures may come soon. According to two sources—a veteran therapist and an administrator—within the Chicago Department of Public Health, which operates the city’s mental health system, the city plans to close its six remaining clinics in the next few years. “They’re targeted to be shut down at the soonest possible date,” said the therapist, who has worked at city clinics for more than fifteen years. In 2012, clinic closures were a response to a $276 million state budget cut to Medicaid, which significantly reduced payouts to mental health programs across Illinois. Now, sources say, the city is using changes from the federal Affordable Care Act to privatize almost all of its mental health services and close its remaining clinics. The changes are a result of the state Medicaid Reform Act, which was passed in 2011 to expand Medicaid in the aftermath of the ACA. The act mandates that half of Illinois Medicaid holders receive coverage through privately-operated managed-care networks; before then, Medicaid used a broad mix of managed-care and fee-for-service models, which are widely considered to be more costly than managed care. In fee-for-service, providers charge the state directly for services; under managed care, the state contracts services to networks of providers that are open to those with Medicaid coverage. City clinics have yet to join these networks, however. Thus, mental health clinic patients who must now acquire insurance are being turned away from public clinics, directed toward private clinics that are covered by managed-care networks. Chicagoans who have been seeing the same therapist for years are being transferred to new providers, in some cases resulting in a longer trip for mental health services. And sources say that the remaining public clinics, emptied of clients, will quickly become obsolete and expensive; most, if not all, will be shut down. The issue is divisive. 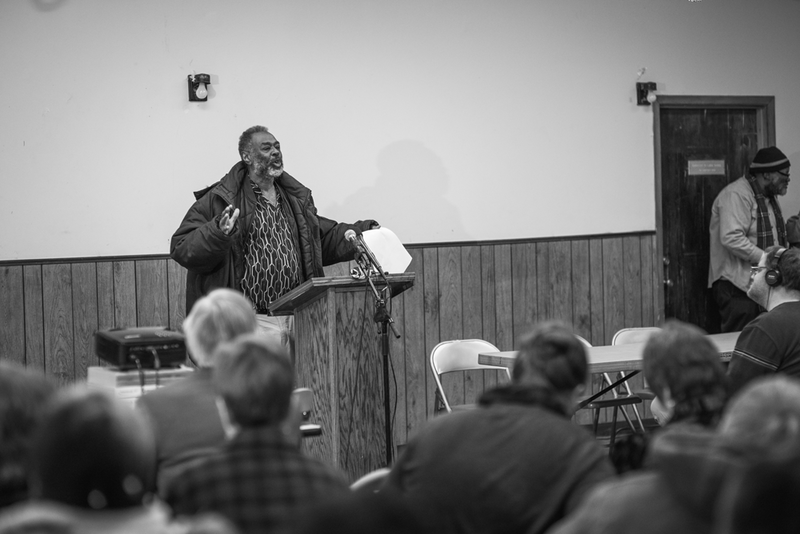 In 2012, the Mental Health Movement, a program within the activist group Southside Together Organizing for Power, led a campaign of demonstrations against the closures. Protestors picketed City Hall and barricaded themselves inside the Woodlawn clinic. A SWAT team was called in, chain-sawed its way inside, and arrested them. A rift is opening between city clinics that are being cut to save money and non-profits that aren’t in a position to catch the runoff. Private providers, even if they are non-profits, depend on patient revenue to stay afloat. Thus, areas with large uninsured populations remain underserved, while wealthier areas have a font of providers. After Woodlawn closed, McCloud was transferred to Community Mental Health Council, a private clinic in Calumet Heights. Dr. Carl Bell ran CMHC until the summer of 2012, when low revenue and reduced Medicaid payouts forced it to shut down. Before it closed, Bell was personally seeing one thousand patients. One of the main reasons the clinic closed, Bell says, was patients’ inability to pay for services. Most did not have insurance. But as the ACA goes into effect, more people are getting coverage. Under Illinois Medicaid expansion, those at 138 percent or below of the poverty line are now eligible for Medicaid, providing an additional 342,000 low-income Illinoisans with access. Additionally, every American citizen is now obligated to buy health insurance or face a steep fine. Within the CountyCare network, providers are reimbursed for taking on patients under expanded Medicaid. If the network is successful, providers like Bell will be able to handle large volumes of low-income patients without going under. But the city itself has not joined the CountyCare network, which means that public health clinics cannot bill services to patients with CountyCare coverage. Instead, those patients must find private providers that accept CountyCare. Sources say the city is deliberately advising patients to enroll in CountyCare, fully aware that, once they do, they’ll no longer be able to use city clinics. According to the veteran therapist, the city had seriously considered CountyCare starting last fall. In January, however, it changed its position and decided it would not accept the network. The city, the therapist says, is planning to privatize its mental health services. A spokesperson for the Chicago Department of Public Health, Brian Richardson, did not respond to repeated requests for comment on whether the CDPH had plans to join CountyCare, or whether they plan to close the rest of the clinics. Officials at CountyCare say that the city was never interested in joining the network. Steven Glass, executive director for managed care at Cook County Hospitals, notes that “if the City of Chicago were interested in being a CountyCare provider we would direct them to PsycHealth,” which operates the network’s mental health services. When asked, PsycHealth President Dr. Madeleine Gomez confirmed that the city never contacted PsycHealth to become a provider. Since this past fall, the veteran therapist says, clinics have been directed to recommend CountyCare to their patients, despite the fact that the network would deny them access to public care. The CDPH spokesperson did not respond to repeated requests for comment on whether staff were instructed to recommend CountyCare, in spite of the knowledge that those patients would have to be transferred. Because of the ACA, however, the number of uninsured patients is quickly dwindling. “It doesn’t take a genius to understand that they knew full well we’re not going to have many uninsured down the road,” says the therapist. Last week, one public clinic administrator, who requested anonymity, saw a patient break down in the clinic’s lobby, sobbing. The patient had learned that she would have to switch to another clinic, one that accepted the CountyCare coverage she had been convinced to switch to. A few weeks prior, the administrator says that eight police officers were brought to remove a patient who had a similar breakdown. Leaving clinics, she points out, will create instability in people’s lives. N’Dana Carter, a spokesperson for Mental Health Movement, agrees. Carter was one of twenty-three protestors arrested while occupying the Woodlawn Clinic in 2012. “So this is someone you’ve been with for ten to twelve years,” Carter says. “This is someone who will care and look out for you, and they say what the city says, that CountyCare is the best. The Woodlawn Mental Health Clinic, where Calvin McCloud and many others have been treated, is now defunct, save for a Cook County internal medicine clinic that operates in a corner of the building. In mid-March—as per an agreement with the CDPH—Thresholds, a Chicago-based mental health non-profit, will establish office space in the former clinic. Expansion into the South Side also means accepting common insurance providers, such as CountyCare. But Thresholds does not provide general mental health services—the clinic focuses on patients whose mental illnesses have reached the point of disability. While it does accept CountyCare, it does not offer the sort of treatments that the vast majority of mentally ill require. Although some will be able to receive service, then, many patients who had relied on the Woodlawn clinic won’t be served by Thresholds’s presence in the space. Former Woodlawn patients are typically directed to the nearest CountyCare provider that matches their clinical profile. Depending on the severity and nature of a patient’s symptoms, this provider could be miles away. But even patients who are on Medicaid and don’t switch to CountyCare may lose access to the public mental health clinics. As the ACA takes effect this year, a number of private managed-care networks are coming to Cook County. By July 1, Chicagoans on state Medicaid who haven’t already enrolled in CountyCare will be required to join a private managed-care entity in order to receive their Medicaid benefits. The mandate is part of the state’s overall plan to increase managed-care enrollment among those on Medicaid, but just as the city has not accepted coverage under CountyCare, it has also not agreed to accept coverage under these other managed-care entities. The gears of these changes have only just begun to turn. Chicagoans with state Medicaid must choose a network by April 14, so that they will have new providers lined up for the mandated July 1 enrollment. Letters about this are already starting to go out. “The network” that the therapist is referring to is a group of six organizations that coordinate managed-care providers within Cook County; the state refers to these organizations as “Care Coordination Entities.” Each will be working with patients who are enrolled in state Medicaid. The CDPH did not respond to requests regarding whether or not they were seeking coverage from these networks, or whether or not they had joined these networks by press time. When the South Side Weekly reached out to the six Care Coordination Entities, none confirmed that the city clinics were part of their coordination networks. If the city does not join these networks, people who are enrolled in the networks will not be able to access city health clinics. No one enrolled in state Medicaid, then, would have access to city clinics. A 2011 report by the Chicago Civic Federation, “Recommendations for a Fiscally Sustainable Chicago,” has already advised the city to “end the City’s clinical activities,” arguing that the cost of operating the clinics could be eliminated by replacing them with private providers. With the mass transitions between providers that are taking place now due to CountyCare, and that are set to take place with the arrival of other managed-care networks this summer, patients will likely undergo similar hardships to those experienced in the aftermath of the 2012 closures. Carter has been a patient at city clinics, and remembers the closures as a difficult time. “What happened,” she says, “is that when the city clinics closed, even if your clinic wasn’t closed there was a disruption because your therapist might have been gone. My clinic wasn’t closed, but the hours and availability for my therapist diminished. It was a difficult time for me. What the city did to help in 2012, and how people reacted to changes in their mental healthcare, can help predict what to expect from the coming disruptions. The city made efforts to facilitate the 2012 transition, creating partnerships with over forty private mental health providers. The CDPH claims that it transitioned 429 insured clients to providers in their communities, and monitored them for two months after the transition. As of last April, the city notes that sixty-three patients had decided to return to public clinics. Others may have had it worse. Diane Adams, the Englewood clinic patient and activist, was moved to Englewood in 2012 when the Auburn Gresham city clinic closed. While she made the transition without any real problems, not all of her fellow patients managed as well. “Bus fare stopped [some patients]. They can’t take the bus by themselves. 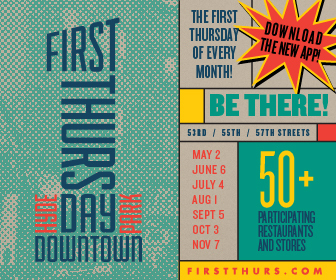 They’re in the streets now.” She remembers Andre and Charles Burns, who “dropped out because they didn’t want to come down to 63rd or go to the other places. But I see Charles Burns and Andre, I see them walking the streets every day on 79th Street. The clinics that remain open have felt the strain. As of August 2013, the most recent clinic census, the city’s mental health clinics had 2,440 active clients—an increase of seventy-one patients since the 2012 closures. This allots to roughly 406 clients for each remaining clinic. Should the rest close, it is not certain that private providers will be able to cope with the increased loads. 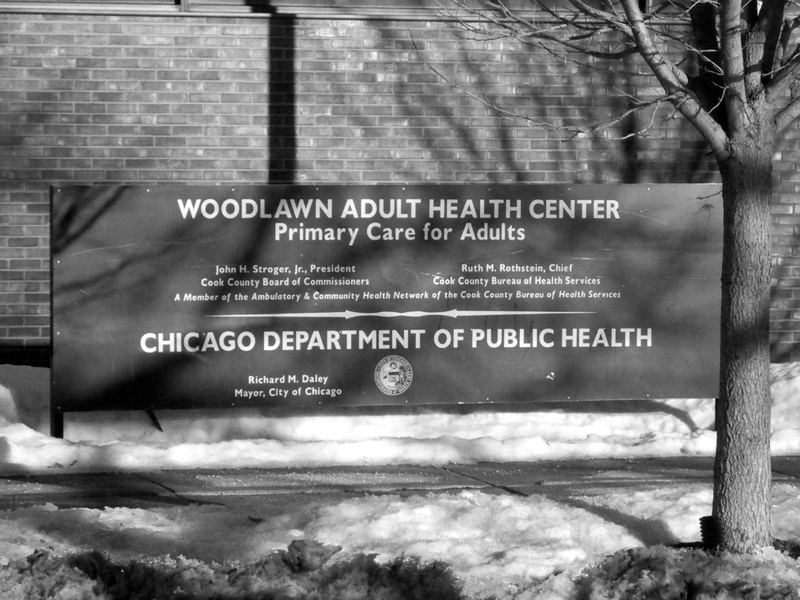 Not all private mental health providers offer the kind of centralized, community-building rehabilitation that Englewood offers, and that Woodlawn offered. Heyrman notes that “with the most serious mental illnesses, if they’re going to succeed in the community they need to have stability and human connections.” The public clinics have provided such a space for decades. The therapist says that “if [the clinics] were seriously going to stay open at all, they would have to get into these insurance networks.” McCloud and Adams both receive coverage from state Medicaid, and thus stand to lose access to their current clinics. McCloud might have to switch therapists again. Adams might lose hers. Other patients might have to travel long distances to get the care they need. Over the next few months, as the system continues to change, more will undoubtedly fall through the cracks. Additional reporting by John Gamino, with research from Bess Cohen, Spencer Mcavoy, Meaghan Murphy, and Hannah Nyhart.